Steve Cunningham (28-7-1, 13 KO) was the better athlete, but his lack of boxing acumen pillaged what should have been a virtuoso performance. Antonio Tarver (31-6-1, 22 KO) should not have been able to compete – not fast enough, not long enough, and too old was Tarver. Through four rounds, it seemed like a wrap. Nature was taking its course as the crowd booed the general lack of activity besides Cunningham landing his jab. 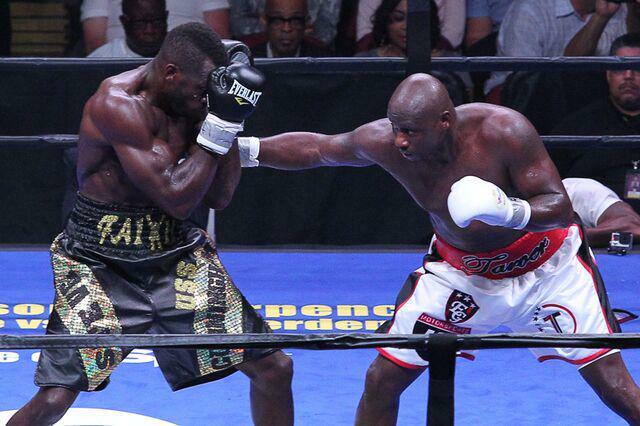 Tarver had switched to orthodox in the fourth and finished the round with a defeated demeanor. Having connected once on Cunningham with a counter left hand in round four, Tarver continued the trend in the fifth, winning a round convincingly for the first time. Tarver's confidence grew and he became more aggressive and seized the sixth round as well. Tarver, slow on his feet, nonetheless created angles for himself by throwing right hooks to the head and body. Then he used a touch jab as a distraction to extend with his straight left hand, moving Cunningham whenever he landed. Before Cunningham was able to recover, Tarver would flurry hoping to land something significant or, at the very least, to score points. Tarver's ability to use the touch jab to land his left hand was predicated on the fact that Cunningham was no longer active with his own jab – which, being longer and quicker, should have negated Tarver's jab. Instead, Cunningham resorted to countering and catch-and-shoot offense – the latter seeming to be a consequence of ill-timed counters – in the center of the ring, allowing Tarver to land first within a range in which he felt comfortable. When Cunningham chose to lead, he squared up to throw combinations while leaning so far forward that he was falling off balance into Tarver to smother his punches...while having a reach advantage over Tarver. Not quick on his legs, not darting in was Tarver, so Cunningham had no need to resort countering unless he was fatigued. The fight was ruled a split draw. Cunningham was busier overall with his jab whereas Tarver landed more power.